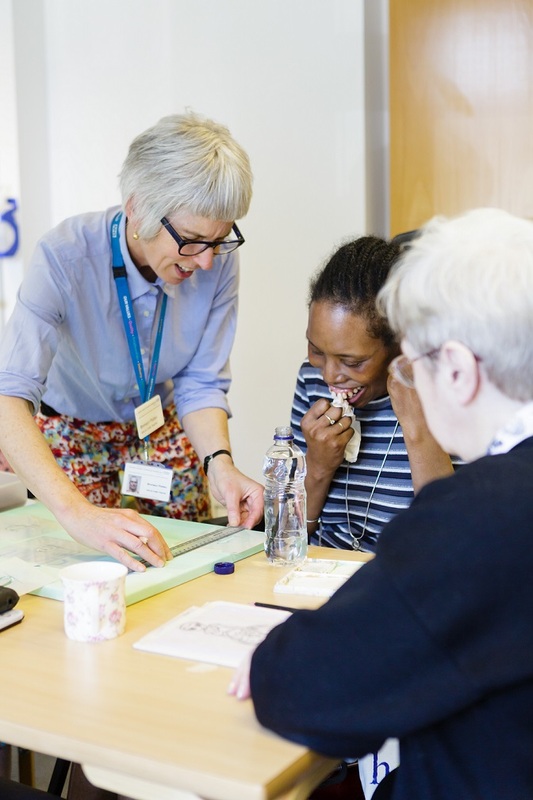 Carol has been a patient at Pembridge for six years. This is her story about how she came to be with us and what she thinks of the team who support her. When I was 38 I fell over and thought it was just a one-off, but then I started falling on the street, at home and at work. At age 40 my doctors diagnosed me with motor neurone disease (MND), which attacks the parts of the brain that control my muscles. It is a progressive disease that over time has taken away my ability to walk and talk, as well as effecting how I eat, drink and breathe. After I was diagnosed with MND my boyfriend left and my best friend said she could not be friends with me anymore because it was too hard to see what was happening. My sister Jo and my family were always by my side though. When I came to Pembridge things started to change. I was happier and made good friends with other patients. I came to Pembridge six years ago at age 47. My confidence had disappeared and I was embarrassed because I had to use a machine to communicate. When I visited the day hospice for the first time the care assistant Pat took me under her wing and arranged counselling straight away. Pembridge is now my second home and I visit three times a week. 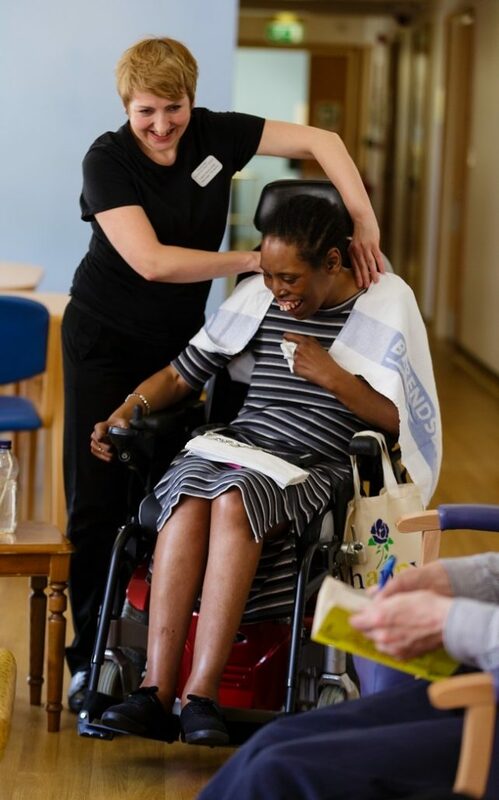 My therapeutic massage sessions with Tanya help so much with the stiffness that my MND causes. I wish I could take her home! When I am around Bronwyn the art teacher I forget that I am ill. She makes me laugh and teaches me things I never thought I could do. After falling at home in 2012 I was only able to move around in a wheelchair. I felt so limited. 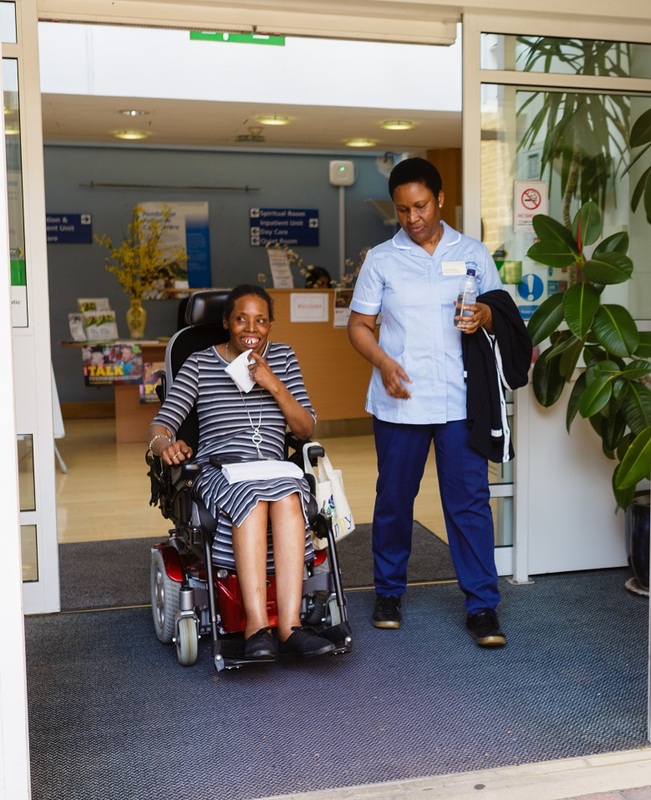 Vanessa the rehabilitation assistant started working with me in 2015 and got me walking again. It was fab and I was on a high! What an incredible feeling to walk again. Claire the day hospice manager is so kind and down to earth. She listens and is understanding when I have a problem. She is the best! Without the Pembridge team in my life I would probably be at home getting more and more depressed and crying. When I come here I have fun and laugh and forget that I am seriously ill. I love the Pembridge team because they have made me feel alive again. 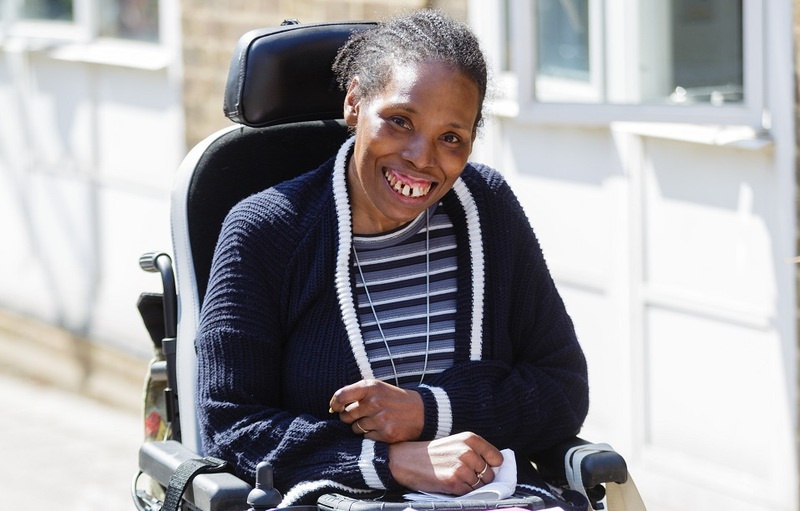 With your support today, people like Carol can continue to receive the best possible care from the Pembridge team to make the most of the time they have.